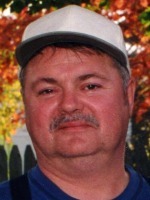 Robert Leon ‘Bob’ Fales of Allegan, Michigan (formerly of Otsego) passed away at home with his family by his side on May 31, 2008 after a battle with cancer. Bob was born in Paw Paw, Michigan on February 23, 1943, the son of Floyd R. and Margaret R. (Counterman) Fales. Before his retirement, he worked for the City Of Otsego for 32 years as a mechanic. He enjoyed working on all kinds of vehicles, including trucks and tractors. In 1987 he went back to WaylandHigh School and received his diploma with honors. Bob loved farming, working outdoors and reading Louis L’Amour novels. He spread his knowledge of maintenance to his two sons. He also loved spending time and doing things with his grandchildren. On October 12, 1962, at the OtsegoUnitedMethodistChurch, he married Carolyn J. Mahieu and they stood side-by-side for almost 46 years. His father and younger sister Ruth preceded him in death. He is survived by his wife, Carolyn (Carol Mahieu) Fales; two sons, Robert (Lisa) Fales of Otsego, Bruce Fales of Constantine; three grandchildren, Matthew Fales, Hunter Fales and Jacob Trayers; his mother Margaret Edwards of Allegan; three sisters, Betty McDaniels of Allegan, Judy Sandefur of Brant, Linda (David) Warner of Allegan; several nieces, nephews and great nieces and nephews. In accordance with his wishes, cremation has taken place. A memorial service will be held Thursday at 11:00 A.M. at the Winkel Funeral Home, Otsego, Pastor Gail Pike officiating with a luncheon following at the First Baptist Church of Otsego. Memorial contributions may be made to the Wings Of Hope Hospice of Allegan. A thank you to his special niece Christine and her husband Mike Pallett of Plainwell and Wings of Hope Hospice for helping in our time of need. Thank you all for your prayers and thoughts. The Fales family. 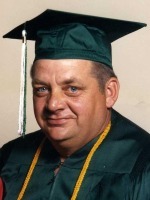 Edward L. Hope of Plainwell, Michigan died Thursday, May 29, 2008, in Kalamazoo. Ed was born December 10, 1953 in Vicksburg to Lawrence and Carol (Trimner) Hope. From 1972 to 1975 he served in the U.S. Army in Germany during the Vietnam War. After his discharge from the service, he farmed several years in TrowbridgeTownship. For over 20 years he was employed as a paramedic. Ed was a member of the Otsego Church of God and the Men’s Group. In his leisure time he enjoyed woodworking, making chairs, benches and rustic items, and fishing with his grandchildren. On March 16, 1973, in Whiteford, Maryland, he married Louise Davis, who survives. Also surviving are two daughters, Jennifer (PaPa) Ndoa and Alice Carol (Bill Eichler) Hope both of Plainwell; four grandchildren, Hannah, Davis, Christopher and Courtney; two sisters, Edith Sinkler and Cora (Terry) Ruthruff both of Paw Paw; a brother-in-law, Richard Pierce II of Otsego; several nieces and nephews. He was preceded in death by his parents and by a sister, Ann Louise Pierce. Friends may meet the family from 2 to 5 P.M. Sunday at Winkel Funeral Home where services will be held at 11:00 A.M. Monday, with Pastor Stephen J. Burrow officiating. Military Honors will be conducted by V.F.W. Post #3030. Cremation will follow. Contributions in memory of Ed may be made to the Otsego Church of God. 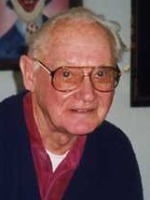 Willard F. Flannagin of Richland, Michigan died Tuesday, May 27, 2008, in Otsego at the home of his daughter. Mr. Flannagin was born in Lawrence, Alabama. After 30 years of service he retired from the company formerly known as Beach Products. Willard was a kind and gentle man. He was always willing to lend a hand whenever needed and enjoyed being around his children and grandchildren. He is survived by his daughter, Jeanette Ford, and her husband, Asa, of Otsego; his son, Jeff Flannagin, and his wife, Heather, of Richland; and one sister, Ozellar Ivey of Alabama. Also surviving are seven grandchildren, Joshua, Chelsea, Morgan, Kayleigh, Caleb, Sarah and Savannah. Mr. Flannagin was preceded in death by his granddaughter, Rylee. Friends may meet with the family from 5 to 8 P.M. Friday at Winkel Funeral Home where a memorial service will be held on Saturday, May 31, 2008 at 1:00 P.M., with Pastor Chris Lane officiating. The family suggests that memorials contributions may be made to Father Flannagan’s BoysTown, www.boystown.org. 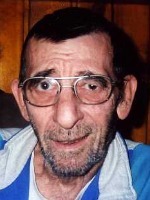 Edward E. ‘Eddie’ Winter of Otsego, Michigan died Monday, May 26, 2008, in Plainwell. Mr. Winter was born May 17, 1921 in Chicago, Illinois to Fredrick and Della (Voss) Winter. Ed was a graduate of OtsegoHigh School and served his country in the U.S. Army during WWII. For over 40 years he was employed as a letter carrier with the Otsego Post Office, retiring in1980. After his retirement he drove cars for Midway Chevrolet. He was a member of Hope Lutheran Church of Plainwell, the Otsego Elks #1711 B.P.O.E. and the American Legion Post #84. His favorite leisure activities were bowling, fishing, drinking coffee with friends and watching his grandsons play soccer. On October 23, 1948 in Allegan he married Alice Massey, who died in 2006. Surviving are two daughters, Patricia Winter of Holland and Pamela (Robert) Saeger of Plainwell; two grandsons, Ryan and Scott Saeger; a ‘brother’, Wally (Chlao) Heinichen of Otsego; many cousins, nieces and nephews. The family will receive friends from 6 to 8 P.M. Thursday at Winkel Funeral Home. Funeral services will be held at 11:00 A.M. Friday at HopeLutheranChurch, Plainwell, with Pastor Lynn Fonfara officiating. Burial will follow at Hillside Cemetery, Plainwell, with Military Honors by American Legion Post #84. Contributions in memory of Ed may be made to Hope Lutheran Church. 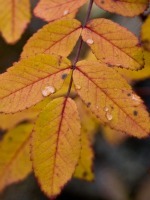 Verla L. Warren of Otsego, Michigan died Tuesday, May 20, 2008 in Kalamazoo. Mrs. Warren was born February 1, 1911 in Hamilton, Ohio to George and Barbara (Hessey) Reichenbach. The family moved to Otsego in 1914 and she had lived in the same home for 94 years. Verla was employed as an administrative assistant with the Upjohn Co. for 23 years, the Otsego Public Schools for 14 years and also several years with Saniwax. She enjoyed flower gardening, especially tending her roses, loved watching the birds and liked dogs. Verla had been a member of the First Congregational Church of Otsego. On April 8, 1948, at the First Congregational Church, she married Ralph T. Warren who died in 1982. Also preceding her in death were four sisters and four brothers, Ruby, Elizabeth, Della, Alma, Forest, Wes, George and Carl. Surviving are many nieces and nephews. Friends may meet with the family from 6 to 8 P.M. today at the Winkel Funeral Home, Otsego, where services will be held at 11:00 A.M. Friday, Pastor Don Ray officiating. Burial will follow at Mountain Home Cemetery, Otsego. Contributions in memory of Verla may be made to the American Cancer Society or Wings of Hope Hospice. W. Earle Wallace of Clearwater, FL (formerly of Otsego) passed away Sunday, May 18, 2008 at the home of his step-grandson, Steve Morse, in Colquitt, Georgia. He was born in Morgan Twp., Valparaiso, Indiana on July 9, 1913, to Walter and Effie (Cain) Wallace. On May 28, 1932, he married Irene G. Gott of Valparaiso and she preceded him in death on May 29, 1987. On August 1, 1992, he married Arlene Schribner of Clearwater, FL and she preceded him in death on December 8, 2006. While living in Valparaiso, he worked for the Porter County Road Commission and for many years he had a milk route. Earle started farming and was the manager of the Montdale Stock Farm in Washington Twp. In 1956 he and Irene moved their family of ten children to Otsego, where he bought Holland’s Dairy. Later, he bought Dutchmaid Dairy in Kalamazoo and renamed Holland’s Dairy as Dutchmaid. While running both dairies he also operated the Oak Hill Rabbit business for many years before retiring to Florida. Surviving are five sons, Melvin (Neva), Roland (Helen) all of Otsego, Don, Alan Wayne (MaryAnn) all of Plainwell, Larry (Charyl) of Dorr; three daughters, Kay (Robert) Dougall of Grand Haven, Sue (Ron) Ellinger of Otsego, Denise Anne (Edward) Koehrn of Plainwell; 29 grandchildren; 37 great-grandchildren; 3 great-great-grandchildren; five step-children; eight step-grandchildren, including a special step-grandson, Steve (Sherry) Morse of Colquitt, GA; his sister, Wilma Robertson of Tennessee; many nieces and nephews. He was preceded in death by two sons, Marvin and Kenneth; two granddaughters, Gayle Wallace and Stacey Schmitt; a daughter-in-law Kay Wallace; his father and mother; six brothers; two sisters. Mr. Wallace has been cremated and a graveside service will be held at 1:00 PM Friday, June 13 at Mountain Home Cemetery, Otsego. Memorial contributions may be made to the American Heart Association or Wings of Hope Hospice. 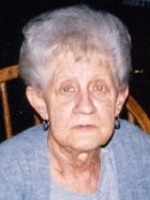 Charlotte L. Aernie of Cooper Township passed away peacefully on Tuesday, May 13, 2008 at Byron Center Manor. Charlotte was born December 14, 1927 in Chicago, IL, the daughter of John and Mary (Bockewski) Bryja. She was the oldest of 7 children. At age 18, she married Arthur Morgan and they moved to Michigan and had 2 daughters, Gaye and Susan. On May 17, 1966, she married Robert Aernie, Sr. They were together for the past 42 years and he survives. Also surviving are two daughters, Gaye Levian of Plainwell and Susan Morgan of Otsego; a grandson, David (Dawn) Levian of Byron Center; a great granddaughter, Katlynn; one brother and two sisters, Edward (Cherry) Bryja, Florence (James) Phillips, Mary (Thomas) Trojan; many nieces and nephews. She was preceded in death by two sisters and one brother, Anna Bryja and Stephanie Bryja and Chicago Police Officer George Bryja. Friends may meet with her family from 6 to 8 P.M. on Thursday at the Winkel Funeral Home, Otsego, where a service will be held Friday at 11:00 A.M. Interment will be in West Cooper Cemetery. Memorial contributions can be made to the National Law Officers Memorial Fund, 400 7th St. NW, Washington, D.C. or the Kent County Humane Society, 3077 Wilson, NW, Grand Rapids, MI 49534. 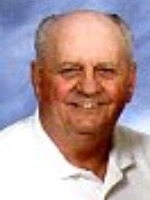 Jimmie R. ‘Jim’ Mellen of Plainwell passed away Tuesday, May 13, 2008 in Allegan. Jim was born December 9, 1932 in Battle Creek, the son of Harold and Coletta (Daisy) Mellen. Jim retired in 1994 after working many years in home construction. He served in the Navy from 1950 to 1954 and was a member of the American Legion in Plainwell and a life member of VFW Post #3030 and Dad’s Post #56. He enjoyed bowling, golfing and woodworking. On June 29, 1996, he married Jean (Hall) DeBruin, who survives. Also surviving are one son and five daughters, Carol (Bob) Oakes of Abeline Texas, Vicky (Jim) Mast of Thlequah, OK, Harold (Kelly) Mellen of Blue Springs, MO, Lisa (Joseph) Brown of Walkerton, NC, Connie (Skip) Bergeron of Thiladoux, LA and Coletta Crews of Jackson; stepchildren, Donald (Sue) Oakes of New Berlin, WI, Daniel (Deb) Oakes of Crystal River, FL, Theresa (Curt) Cook of Mt. Washington, KY, Karen (Steve) Kile of Livonia; many grand and great grand children; two sisters, Yvonne (Floyd) Slater of Plainwell, Carol (Fred) Lange of Monahans, TX; two sisters-in-law Anna Marie Collins and Vada Mallott both of Logansport, IN; a brother-in-law, Bob Dillon of Onward, IN; many nieces and nephews. He was preceded in death by his parents, his wife Clara (Wilson) Mellen, a son, Jimmie K. Mellen, a brother, Arthur Mellen, his sister Ila Phillips, sister-in-law Beverly Dillion and a granddaughter, Melissa Oakes. Friends may meet with his family on Friday from 2-4 and 6-8 P.M. at the Winkel Funeral Home, Otsego where services will be held Saturday at 10:00 A.M., Pastor Daniel Oakes officiating, with military honors by VFW Post #3030. A graveside service will be held at 2:00 P.M. at Riverside Cemetery in Three Rivers. Memorial contributions can be made to the Ronald McDonald House or the charity of choice. 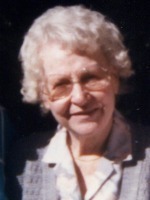 Mildred I. Eaton of Otsego, MI passed away, Friday, May 9, 2008 at Stanford Lodge in Plainwell surrounded by her family. Mildred was born October 11, 1921 in Detroit, the daughter of Francis and Ella (Broederdorf) Brown. She was a member of the Church of God in Otsego where she sang in the choir, played the organ and piano, was a Sunday school teacher and served on many committees and boards. Mrs. Eaton had been employed as a secretary with the City of Otsego for many years retiring in 1982. Since October 2003 she has been lovingly cared for at Stanford Lodge. She enjoyed reading, music, art, nature and walking. Mildred married Robert Eaton on January 9, 1942 in Otsego and he preceded her in death in 2001. She is survived by a daughter Sandra (Larry) Page of Otsego; 2 grandsons, Jeffrey Page, and A. Troy (Brenda) Page; 2 great-grandchildren, Brandon and Bridget; and several cousins. Friends may meet with the family Monday from 2-4 P.M. and 6-8 P.M. at Winkel Funeral Home. A funeral service will be held Tuesday at 11:00 A.M. at the Otsego Church of God, with Pastor Robert Confer, Jr. and Pastor Stephen Burrow co-officiating. Interment will follow at Hillside Cemetery, Plainwell. Those desiring may make memorial contribution to Church of God Memorial Fund or Stanford Lodge.